She runs a famous resale & remake store in Nakano Broadway called Spank!, which boasts a unique, 80's aesthetic. She has been running it for over 10 years, and it is thanks to Spank! that fairy kei was born. I asked her fans for their questions on my blog, Fairy-Tips, before translating them into Japanese and sending them to Tavuchi for her to answer personally. There are tons of interesting questions on a variety of topics, so be sure to read the whole thing! ☆What kind of music do you like? ☆What are your favourite 80s anime/TV shows? ☆Jem and the Holograms vs The Misfits: Which is your favourite between them? ☆What do you think of Vaporwave? The east Asian influences and 80s/90s stylings have always inspired me for fairy kei! ☆Who is your favourite 80s idol? ♥Answer：Hmmmmm, this is hard‥‥Probably Onyanko Club. I also like Wink! ☆If you had to choose between The Popples and the Care Bears, which would you choose!? ☆Who is your favourite anime character? ☆Who is your favourite mascot character? ☆What kind of manga do you like? Do you have any recommendations? ♥Answer：I like 80's manga. I recommend “Urusai Yatsura”. 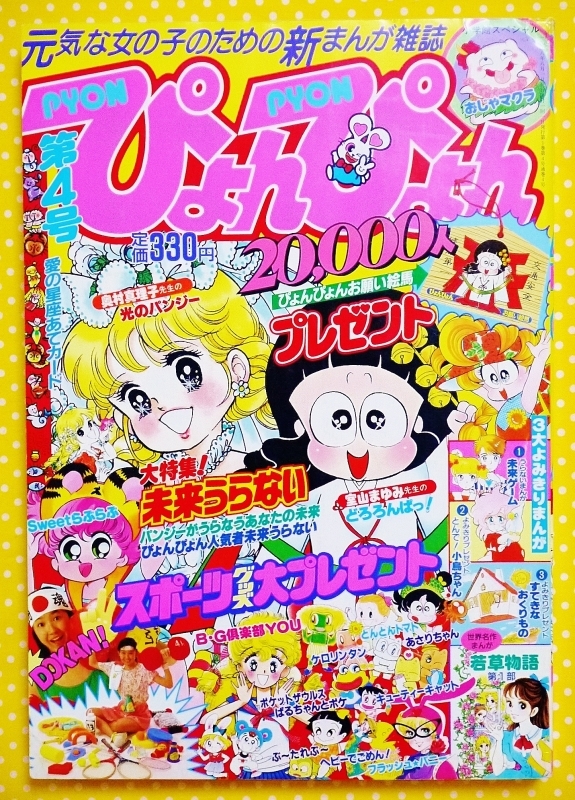 There was also an old magazine called “Pyon Pyon” which ran from 1988-1992, the manga serialised in it were very funny! Nowadays it’s hard to find the comic books as they’ve become very rare. ☆What is your favourite colour combination? ☆What is your favourite item of clothing that you own? ♥Answer：My fancy pastel colour sweater. ☆What is your favourite toy from the 1980’s? ☆I want to start my own brand! Do you have any advice? ☆What do you think of overseas kawaii fans? Do you think there is a difference between the vision of Japanese and overseas Spank! fans? ☆Recently certain fancy sweaters have been inflated to a very high price. What do you think of this? I wish it was easier for people to enjoy fashion! ☆What do you think of kawaii boys? ☆In my country nobody wears cute fashion, and I’m scared I’ll be looked at or teased. Do you have any advice? ☆Have you heard of Uchuu kei? ☆Do you think more Plus Size shops will open in Harajuku/Tokyo? 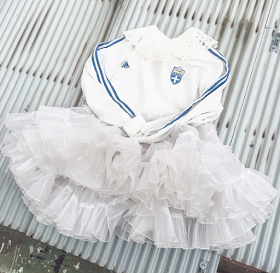 ☆Congratulations on becoming a mother! What is your baby like? ☆Who do you you look up to for fashion inspiration? ☆What are your style keywords? ☆I love Spank! Aside from Spank!, are there any other styles you’re into? ☆What is your favourite part of the “Kawaii Community”? ☆What do you think will happen to Spank! and fairy kei in the future? ☆Do you have any advice for remaking clothing? ☆When designing items and accessories for Spank!, where get inspiration from? I’d love to visit Spank! one day! 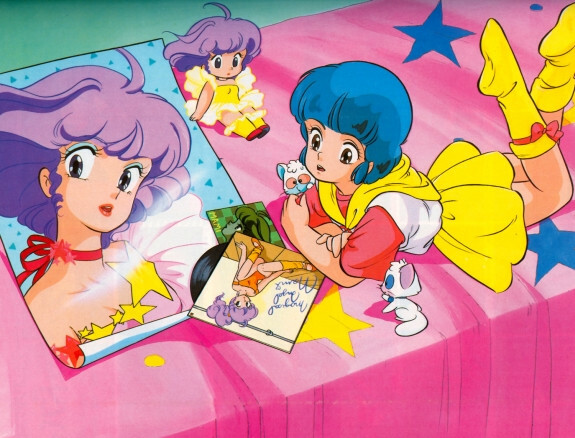 ☆While designing items for Spank!, do you look to 80s anime, toys, and music for inspiration? ☆Does Spank! have a main colour palette? How would you coord those colours? Within them, the most popular are pink, neon pink, mint green, light blue, and lavender. ☆Were you surprised at how popular Spank! became? ☆I love how unique and cute Spank! style is!💖 When you’re creating a new design, do you look to the current trends? Or is it better to ignore them? ♥Answer：I think about them a little bit. For example, oversize is popular at the moment so I have been making items in larger sizes. ☆I remember you came to LA for the Sweet Streets Show! Will you return to America or go overseas for another event? ☆I really look up to Spank! My illustrations are all really influenced by you! My question is, will you ever come to America? Or open up a shop here? ♥Answer：Thank you! Again, if there is a good chance then… perhaps!! 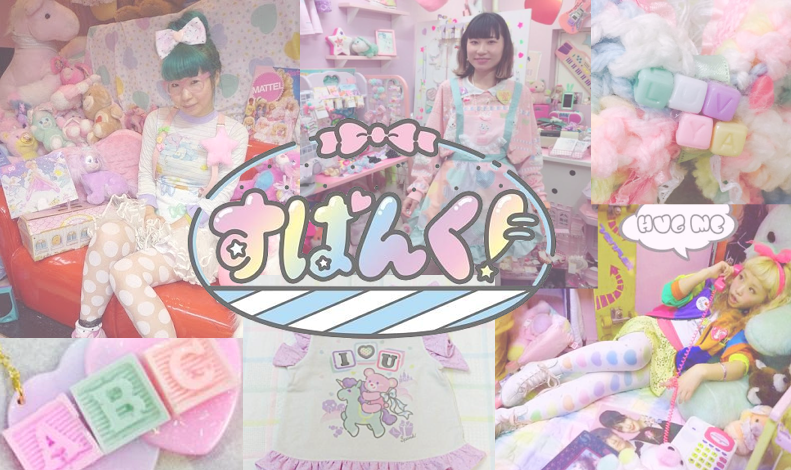 ☆What do you think will happen to Harajuku fashion in the future? FRUiTS and KERA have stopped publishing, and there are more mainstream brands opening up. 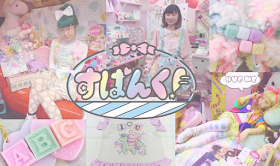 What do you think will happen to Spank!, fairy kei, and other subcul trends? 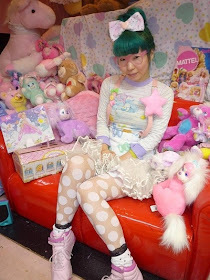 ♥Answer：It is sad, but I don’t see much Harajuku fashion in Harajuku. However, I think it has spread to other towns such as Koenji and Nakano. I think mass-produced fashion and subcul fashion will become clearly divided. I also think fairy fashion will be divided, and more sub-styles will be born from that. I will be announcing another interview soon, so please keep your eyes out for it!